The majority of our projects focus on one or more of three main areas. Click on the buttons below to skip to each section. 76 million people in India don’t have access to clean, safe water & a staggering 774 million don’t have access to proper sanitation. As a result, 1.5 million children die of diarrhoea every year. In the developed world, we think nothing of pouring a refreshing glass of water or taking a long soak in a hot bath but in India, particularly in rural areas, millions of women must walk for hours each day to collect water which is often contaminated and unsafe for human consumption. It is estimated that 3,000 children in India die every day from preventable causes, many of which are rooted in dirty water and lack of adequate sanitation. By investing in village water pumps and groundwater & rooftop water-harvesting facilities and restoring traditional village reservoirs (‘ooranies’ in Tamil Nadu), we help thousands of villagers enjoy access to clean, safe water every year. Protection from traffic, animals and sexual assault. Increased sustainability as, when rainwater is harvested, there is less demand for groundwater. Once you get older like me, you can’t carry heavy pans of water. Now I’m so happy we have our own water, everything is different. 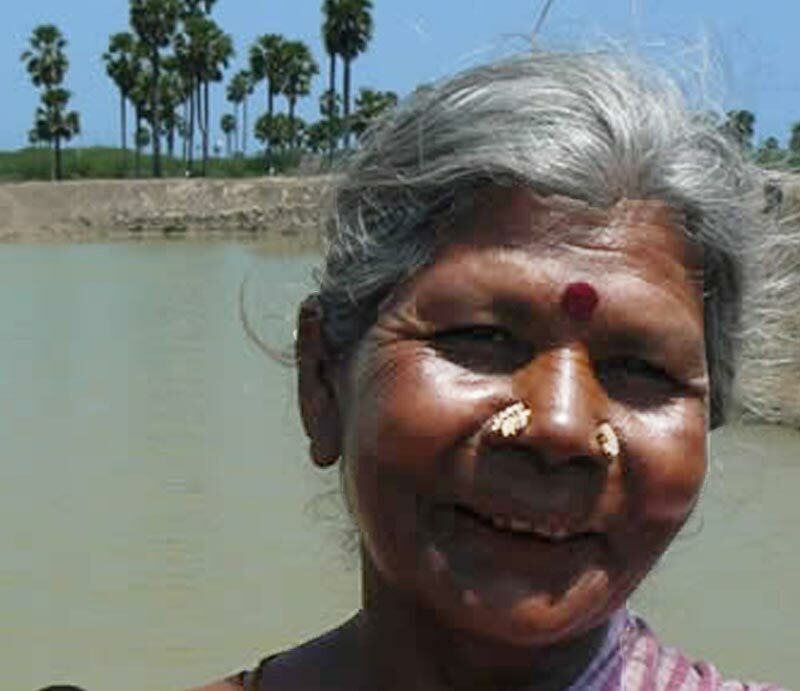 Karuppi is in her 70s & lives in a small village close to Tuticorin in Tamil Nadu. Before Jeevika Trust, with the help of partner organisation SCAD, helped to revitalise traditional rainwater harvesting structures in her village, Karuppi had to make a daily journey of 3km to collect water for her family. Due to her advanced age, Karuppi was unable to walk this distance so instead had to pay for the journey on the bus, eating into her meagre income. Now, Karuppi has a large source of clean water on her doorstep, and she couldn’t be happier. Better personal safety for women & adolescent girls. Lower school drop-out rates for teenage girls. Environmental protection from waste contamination. India is home to one quarter of the world’s undernourished population, over a third of the world’s underweight children and nearly a third of the world’s food-insecure people. When someone says “starving children” or “AIDS”, you’d be forgiven for thinking of sub-Saharan Africa – after all, these are the images we see on the TV and online every day. But did you know that India has one of the highest rates of child malnutrition in the world? Did you know that 42.5% children in India are underweight, compared to 21% in sub-Saharan Africa? Did you know that there are 2.1 million people living with HIV/AIDS in India? Did you know that 70% of women in India can’t afford sanitary napkins, instead turning to unhygienic, used and re-used cloths? These are sad facts that the majority of people just don’t hear. Poor nutrition, poor food security, poor access to health services and hygiene products mean that, for millions of people in India, day-to-day life is a terrible struggle. 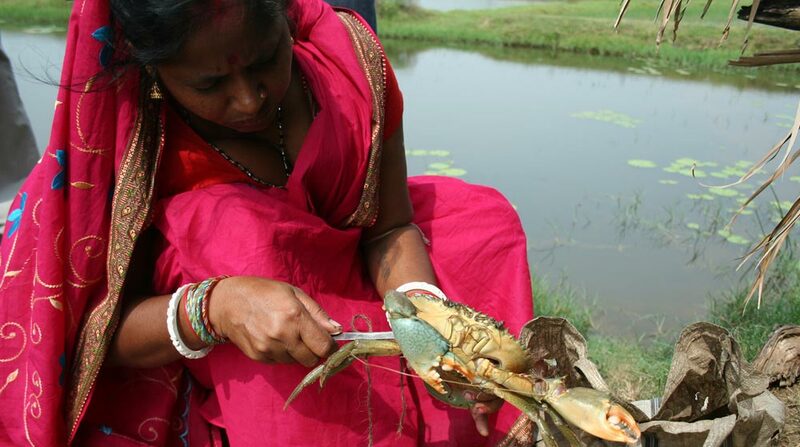 By educating women about better nutrition & by delivering projects that focus on cultivating nutritious foods like honey, fish & crabs, vegetables & goats’ milk, we improve the nutritional health & food security of thousands of villagers. By ensuring people have access to health cards, a better understanding of their rights & access to income generation opportunities, we help those struggling with HIV/AIDS to better control their symptoms & to enjoy an improved quality of life. For the first time in my life since I was diagnosed with HIV, I have found a purpose for living. 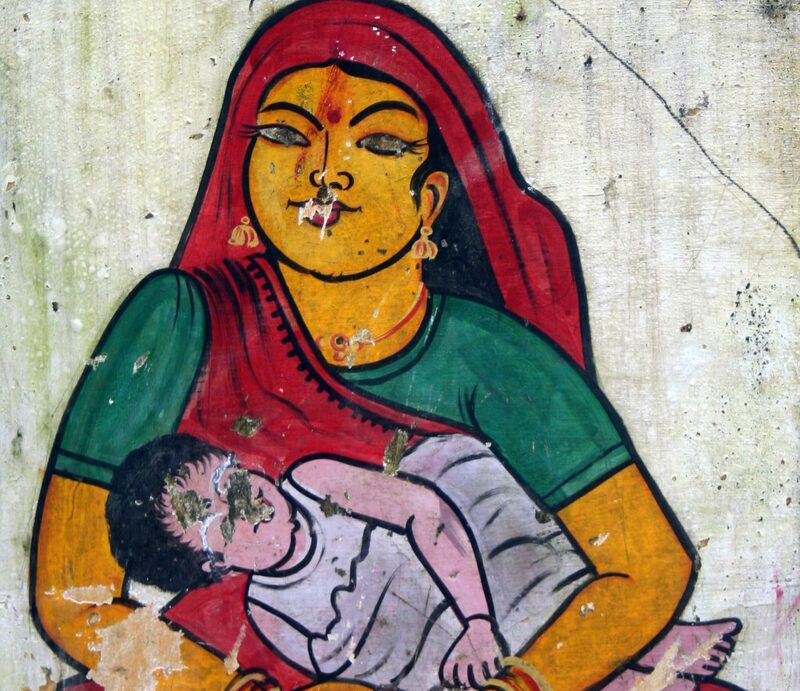 After the death of her husband, Mariamma & her son Murugan (who are both HIV+) were disowned by her husband’s family. Murugan was regularly missing school due to the side effects of his treatment & Mariamma could not afford transport to the hospital, school fees or the nutritious food so important to keeping HIV symptoms at bay. Despite soaring economic growth the number of people below the poverty line remains almost static – one third of all the poor people of the world are in India. Can you imagine not being able to build, or even dream of, a different economic future; no prospect of an escape from discrimination and dependence? Because that’s the reality for hundreds of millions of people in rural India. Those that find work are usually landless labourers, relying on seasonal work, with no regular income for the rest of the year. This forces millions into a life of poverty and degradation, whilst pushing millions more out of rural India into urban areas in the hope of finding work. Opportunities for women are even fewer and further between. By training women in livelihoods (including prawn & crab cultivation and honey production & marketing) that suit the local environment, we provide them with a viable, sustainable income. 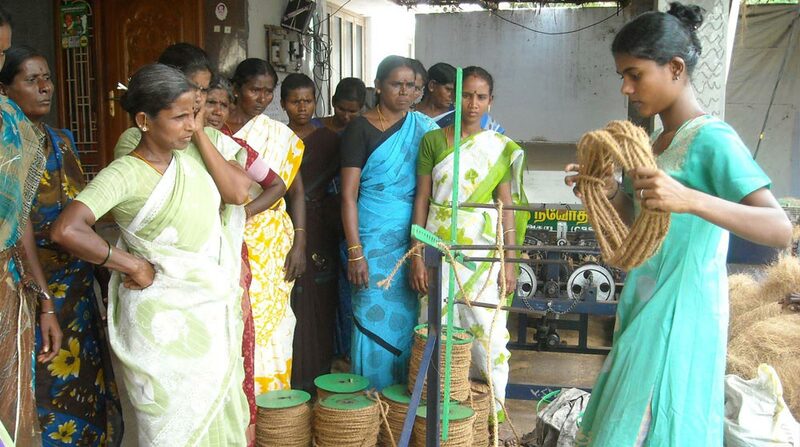 Self-help Groups can share skills and support, and provide a basis for micro credit. Less urban drift to city slums. Freedom from the vicious circle of poverty. We are very happy to be working in a team for economic activities. It is increasing day by day so we will not stop. She never imagined bees in boxes and was afraid of being stung. 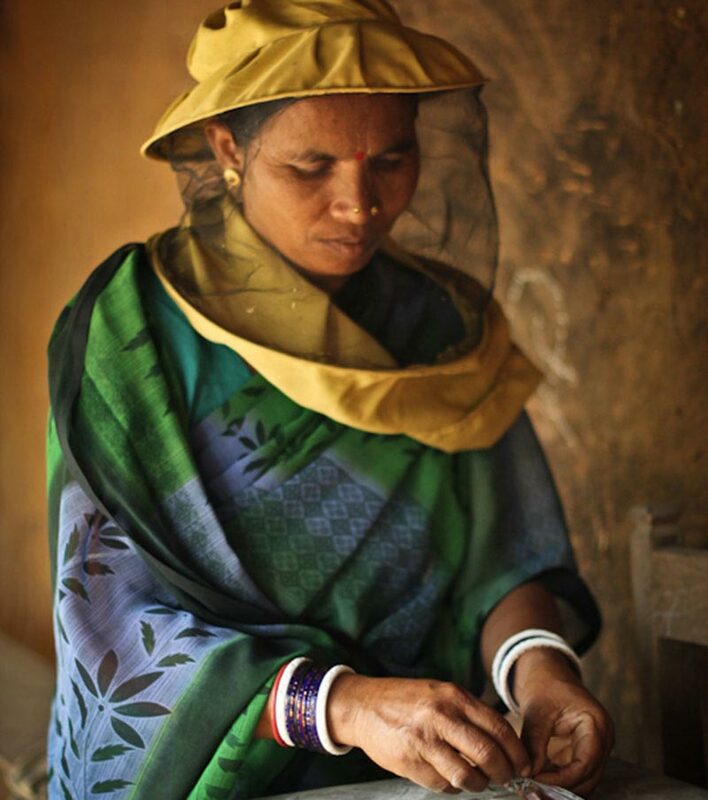 Following a two-day training course with Jeevika/JRP she was the first in her village to get a bee hive. 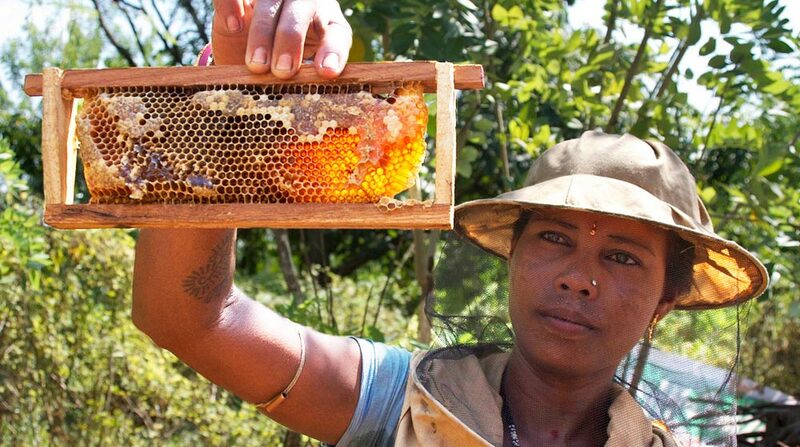 There are typically 3 kg of honey per harvest, and each kg is worth approximately 200 rupees at the local market. 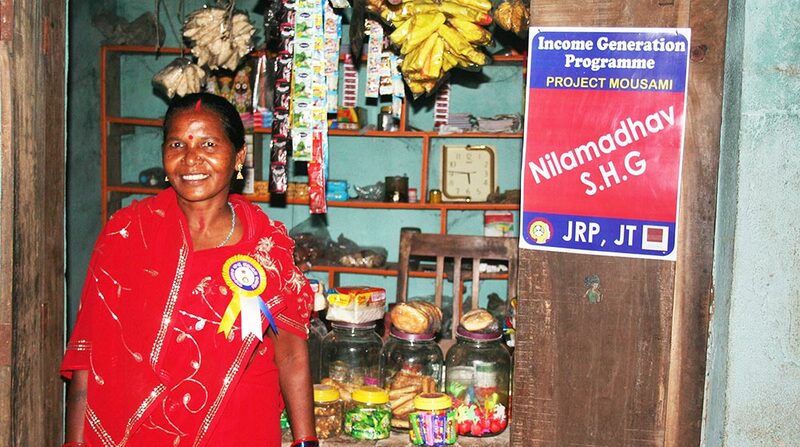 Basanti uses the extra income for household items, healthcare & the education of her son and three daughters. Honey can also supplement the nutrition of the family, and so keep household costs down. The yield on her small crops of cucumbers and cashews has doubled with the benefits of bee pollination and she aims to expand to 8 – 10 hives. We are proud to support the most disadvantaged villagers.